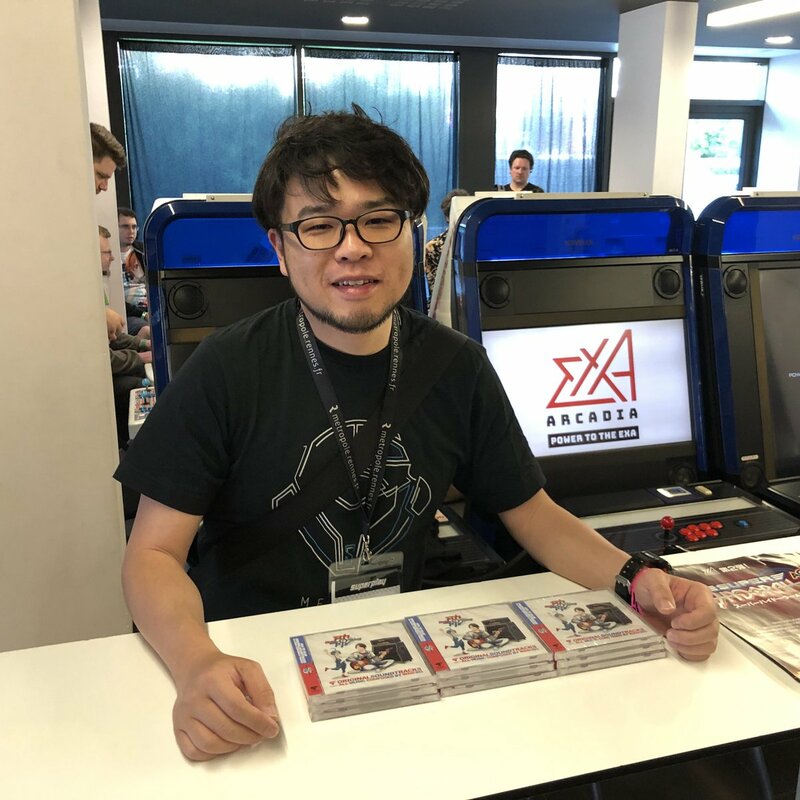 Stunfest 2018 was undoubtedly an opportunity to showcase the recent developers and publishers of shooting games, and Shmup’Em-All had the privilege to meet up with Tanoshimasu CEO Hiroyuki Kimura, accompanied by Eric Chung, CEO of exA-Arcadia, to learn more about the development of Aka to Blue and about their future ambitions. – Could you give us a little introduction to Tanoshimasu? Hiroyuki Kimura : When you look at Japan, it is primarily a country where social and smartphone games are really taking over, and I really wanted to make a game in the vein of Aka to Blue. This is why I started Tanoshimasu as a company. gekko : What does Tanoshimasu mean ? Hiroyuki Kimura : In japanese, it means to have people enjoy something, and more so our games. – How did you get into the game industry? – Before founding Tanoshimasu, you used to work at CAVE. Can you tell us a bit about the games you worked on while you were employed there? Hiroyuki Kimura : I worked on Akai Katana Shin for Xbox 360, DoDonPachi SaiDaiOuJou for Arcade, and DoDonPachi Maximum for iOS and Windows Phone. gekko : To my recollection you were strongly involved in DoDonPachi Maximum, is that correct? Hiroyuki Kimura : Yes, it’s the first project I produced during my time spent at CAVE. To be more precise, I was the director of Akai Katana Shin and DoDonPachi Saidaioujou, and the producer of DoDonPachi Maximum. During his time at CAVE, Hiroyuki Kimura worked on Akai Katana Shin, DoDonPachi SaiDaiOuJou and DoDonPachi Maximum. 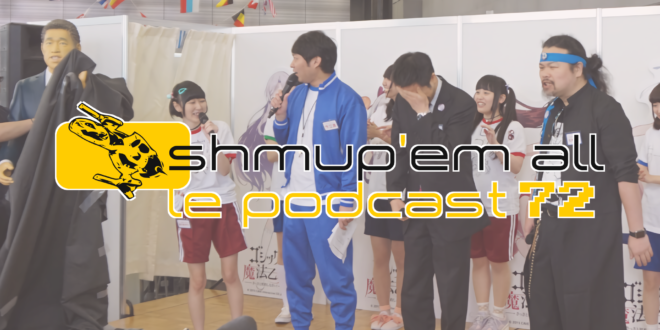 – Was the closure of CAVE’s arcade division the catalyst behind the formation of Tanoshimasu? Hiroyuki Kimura : Of course, CAVE leaving the arcade industry while still having many consumers eager for new shooting games is one of the reasons why I wanted to create Tanoshimasu, but it’s not the main reason why I wanted to start this company. gekko : So what was the main reason behind the founding of Tanoshimasu? Hiroyuki Kimura : I really wanted to make a game that people could enjoy on the go with a one-time-only transaction, as opposed to other mobile games where you have to keep doing in-app purchases. 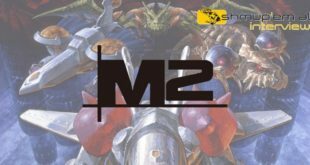 – Why did you choose to develop a mobile game as your first title, and why is it a shoot ’em up? Hiroyuki Kimura : When we started our company we obviously weren’t very well known in the industry yet. 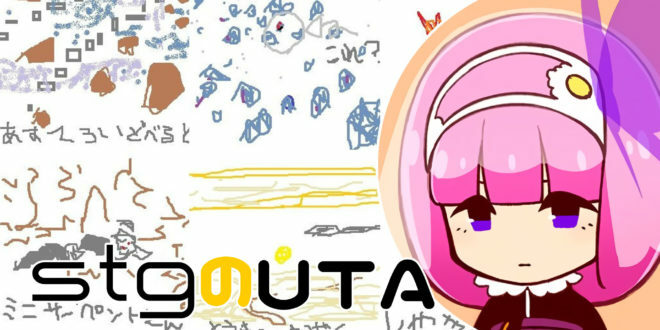 It’s actually really hard in Japan to get a development kit for consoles, so we looked at platforms where small-scale companies could make games. At first we looked at the PC which seems to be the most sensible approach for many indie companies, but there is no way a company of our size would be able to make a PC game that could utilize the max specs like AAA games do. We then looked at smartphones – because everyone has one. It would allow us to be able to make a game that could reach a wider audience, and be able to develop to the specs that a typical modern smartphone can support. As to why it is a shooting game, the first reason is the low development cost – because shooting games do not cost as much as other genres. 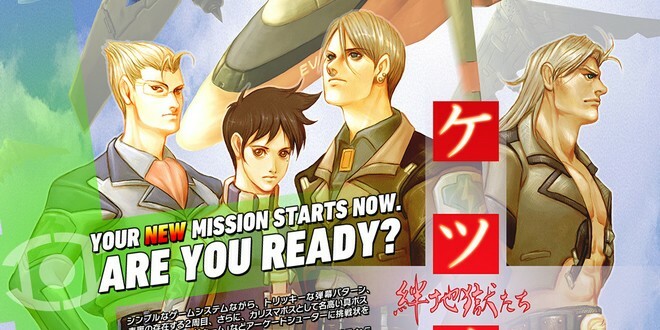 Also, it’s because since 2012, when DoDonPachi SaiDaiOuJou came out, it’s been a long time since a real shooting game was released. Those are the two main reasons why we did this. First game made by Tanoshimasu, Aka to Blue is available on Google Play and the AppStore. – Aka to Blue came a long way, and the initial vision you had of it is really far from the final version. Could you tell us more about its development? Hiroyuki Kimura : Originally, when we first started our shooting game project, we were trying to get one of Bandai Namco‘s older IP. We applied to the Bandai Namco Classic IP Project and it was actually approved! But then we looked at how the business scheme worked, and we realized that we wouldn’t make as much money off of it using this IP with the royalties. So we decided to make our own original game, and that’s how the game you see there today came about. gekko : According to an interview with IGN Japan, Aka to Blue was more a shooting game made out of mini-games. Is that true? Hiroyuki Kimura : That’s true. We wanted to make a shooting game around that concept using the old Bandai Namco IP. Before Aka to Blue as we know it, Tanoshimasu intended to use an old Bandai Namco IP. – Why did you choose Unity as the game engine for Aka to Blue? Hiroyuki Kimura : It’s very simple. Originally we had a plan to go multiplatform so Unity was easier for that, and our programmer Yugo Fujioka recommended using it. gekko : Did it help to make Aka to Blue easier to port to arcade, rather than if it was realized with a dedicated engine? 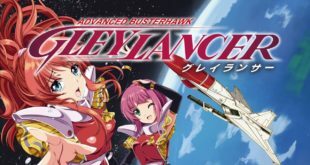 Hiroyuki Kimura : Whether it was a dedicated engine or Unity, putting Aka to Blue on arcade would have probably being the same amount of work. Eric Chung : Also, because exA-Arcadia is compatible with Unity quite easily due to being PC-based, it was easier for them to put the game on our platform. I’m also sure that this is the first arcade game that uses Unity. Hiroyuki Kimura : That’s just a coincidence! [laughs] Basically, the way we are able to make [Aka to Blue Type-R] is because we work together with exA-Arcadia, and we were able to make the I/O part work really quickly with Unity. 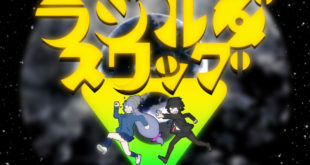 It’s a collaborative effort between Tanoshimasu and exA-Arcadia, and that’s why we have been able to do this so easily. – What were your main sources of inspiration for Aka to Blue? Hiroyuki Kimura : Gradius V! Hiroyuki Kimura : Gradius V!! Hiroyuki Kimura : You see, in Gradius V in the opening of the second stage, when you enter inside the giant carrier? I wanted to recreate that! 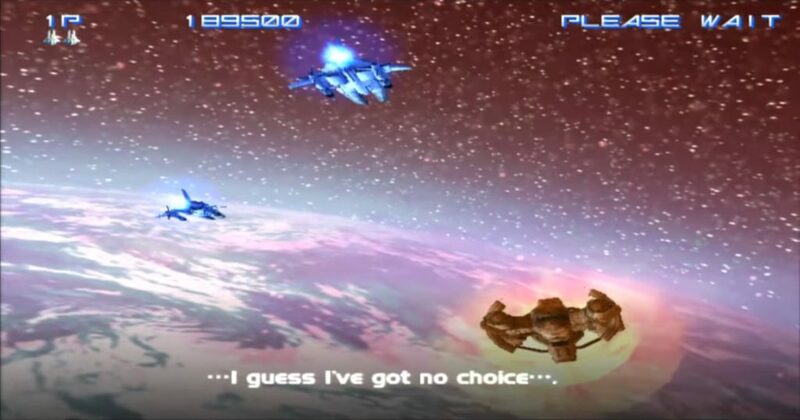 You could also see your future self fighting at the same time, and in stage 8 you go back to the second stage with your ship on the other side, I think that was really awesome! Vic Viper and its future self at the beginning of Gradius V Stage 2. – Aka to Blue’s music composed by WASi303 brings a lot to the overall dynamic nature of the game. How did he end up on the project? Hiroyuki Kimura : WASi303 and I have been friends for a long time, we first worked together on DoDonPachi Maximum. WASi303 is more known for his techno-sounding productions like in Psyvariar, but he’s also part of a band called HEAVY METAL RAIDEN, which is a more guitar-oriented rock band. I once went to see him play with his band live, and thought to myself “I really want him to make that kind of music for my game!”. So I asked him and he gladly agreed, and that’s really how it came together. Also, WASi303 never actually made any kind of guitar-based music for a game before, so it was really a first for him. 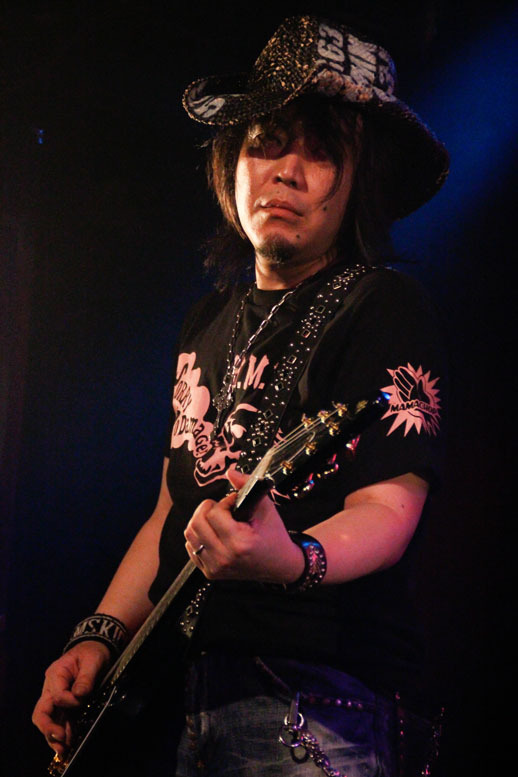 – HEAVY METAL RAIDEN band’s guitarist, Ikeda Minorock, was also involved in the music of Aka to Blue, as he is the main guitarist on the music of Stage 3. How did Ikeda-san end up on the project as well? – Has the feedback you gathered so far on Aka to Blue meet your expectations? 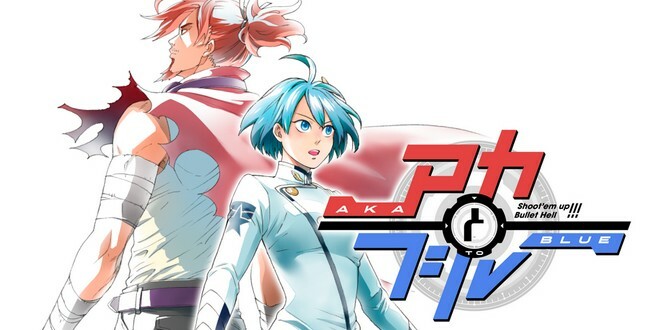 Hiroyuki Kimura : After the release of Aka to Blue on smartphone, the reviews were very satisfactory, but we weren’t really able to reach people and market the game well overseas. The number of downloads for the game so far are decent, but it’s not a lot. I really think this is a weakness that we showed, and we would really like to resolve that issue. 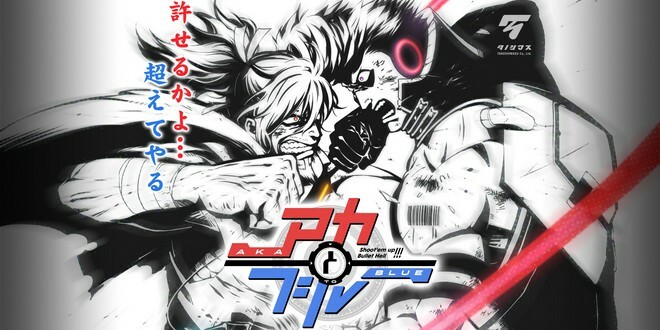 – The announcement of Aka to Blue Type-R was a surprise for many. How did you came up with the idea of an arcade port? – Why did you go for the exA-Arcadia platform as arcade system? Eric Chung : In today’s japanese gaming industry, there are not many companies left who will actually make you a PCB (Printed Circuit Board) and sell it. Right now all you have is Taito’s NesicaxLive and SEGA’s ALL.Net P-ras MULTI. 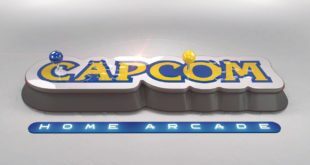 You probably don’t know this, but there is a part of the business structure of those two systems that is not very friendly for arcade owners. Every time you put a coin in the game, SEGA and Taito actually take money from it. If you put 100 yen in the machine the amount they take ranges from thirty to thirty-five percent, and some games can even go up to fifty percent. With exA-Arcadia we don’t take any money, zero percent, so it’s one-hundred percent to the arcade owners – which allows them to grow their business. We are the only system that does that. Every Japanese system takes money. It doesn’t really create a healthy ecosystem when there are already so few games, especially now the manufacturers are taking more and more money. It costs 100 yen to play a game in Japan. 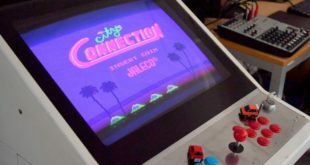 For the last thirty years it has been the same price without any inflation, but the costs of your arcade rent and your employees kept going up, so the arcade manufacturers have started to take more money from you – which is why many arcades are closing nowadays. Hiroyuki Kimura : Also, because Nesica and All.Net are not available overseas, we really wanted people outside of Japan to be able to enjoy our game too. 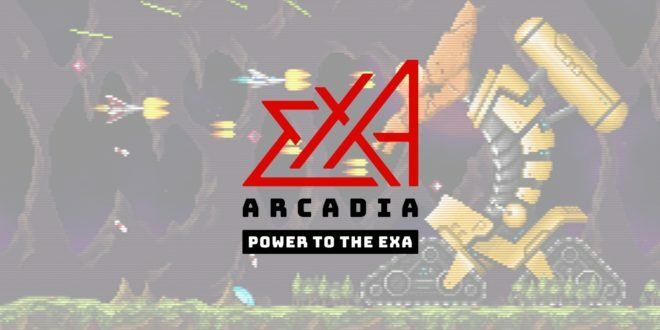 So I decided very quickly to support exA-Arcadia, because they not only support the arcade ecosystem, they have global support too. Meaning that everyone can enjoy our game around the world. And with exA-Arcadia’s business model, they can sell a game and share the profit between the creators and themselves. – As a game that was initially intended for mobile phones, did the new control scheme have any impact on the game design? Hiroyuki Kimura : Initially, playing the game with a normal joystick and buttons did not have much impact on the design, so you could play the game normally like the smartphone version. But from here on, I think we are going to change the design to suit the arcade market better. gekko : Will this have an impact on critical elements such as enemy placement or pattern designs, or the overall difficulty? Hiroyuki Kimura : We will make these adjustments, of course, but also make other changes, such as to graphical details. If you look carefully, the boss of the first stage is actually different from what we were showing during JAEPO last February. – At the end of the last year, pictures of a Nintendo Switch showing the menu screen of Aka to Blue were leaked and was followed up by the announcement of a mysterious Project Type-S. Could you elaborate on this point? Hiroyuki Kimura : At the end of last year, we had a party at Tanoshimasu, and we revealed that we had tried to work on the Switch and showed it to the people there. We never intended to announce that we were actually going to release Aka to Blue on Switch. There are actually some technical issues that we have not been resolved yet and there is also the charge of the developing cost, but at this moment there is no plan to release Aka to Blue on Switch. Also, Type-S does not stand for Type-Switch, but Type-Second. gekko : When the photos were leaked and Project Type-S was announced, a lot of people assumed it was Nintendo Switch related. Hiroyuki Kimura : Actually Type-R came first before Type-S, that’s why S stands for second. It was our second project, because Type-R has become a Reality to sell the game in the arcade. Right now we are working exclusively on Aka to Blue Type-R.
– Do you still see Steam as a relevant market for shoot ’em ups? If so, would a port of Aka to Blue be possible on PC? Hiroyuki Kimura : There will be no Steam version of Aka to Blue, and the reason is that it probably wouldn’t make many sales. When you look at shooting games on Steam, the ones that really sold are Astebreed and Sine Mora, but the rest have not sold that much. I think even DoDonPachi Resurrection and Ikaruga did not sell more than thirty thousand units. If you look at the business model that you have on Steam and Android – on both of these platforms, you can ask for a refund [within a certain time period after purchase]. Then you look at shooting games – you can beat them in thirty minutes. So we then have many gamers who buy the game, beat it, and ask for a refund, which makes it very hard to justify releasing a game on that platform. For Aka to Blue on Android a lot of people refunded the game, you would be quite surprised by the numbers. 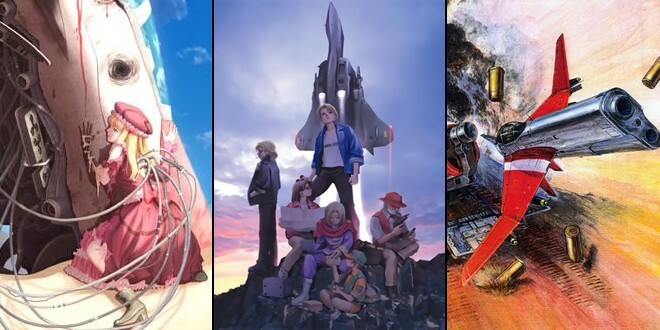 – Do you already have any other projects in mind after Aka to Blue Type-R, whether it will be a new shmup, a sequel, or a completely different genre? Also, my ambition is to become a company like Treasure. Treasure is a fascinating company, who made interesting action games such as Gunstar Heroes, and also good shooting games like Ikaruga. 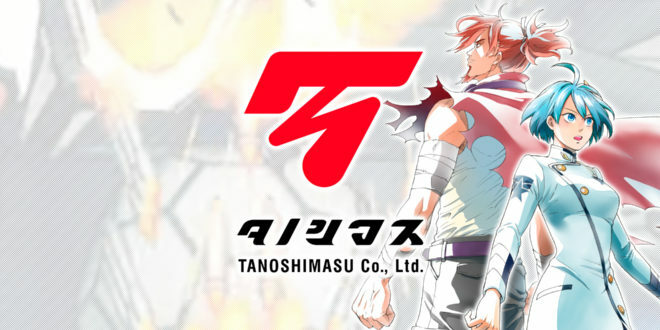 I aspire for Tanoshimasu to become a company able to provide a quality of a similar calibre. gekko : Thank you very much Kimura-san for taking the time to answer our questions. Hiroyuki Kimura : Thank you very much, it was a pleasure! Hiroyuki Kimura : Great! This year we’ll aim for the best shooting game on arcade! Also, we at Tanoshimasu would like to thank the French players for their passion for shooting games. Thank you very much! Special thanks to Eric Chung for being our mutual translator, and without whom this interview would not have been possible. Je pense qu’ils en auraient vendu au delà de leurs espérances sur Switch, surtout qu’il n’y pas de système de remboursement (qui a l’air de leur poser problème) comme sur steam par exemple. Bref dommage… (même si ça n’a pas l’air foutu de chez foutu).